A fire has broken out at Furness College’s laundrette – beside the restaurant “Pizzetta Republic” – on Monday night. 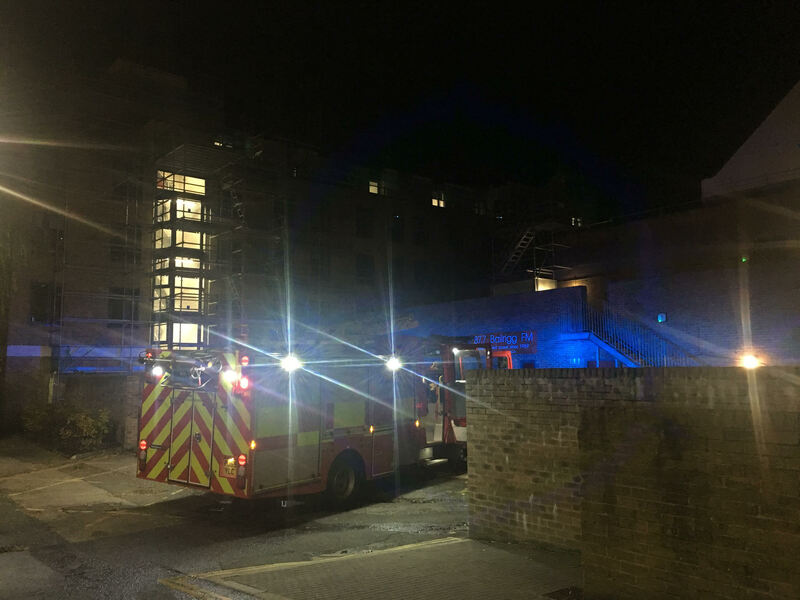 The fire alarm went off at around 10pm and three fire engines were called to campus when the fire began. Access to the South Spine from LEC to Fylde College was quickly closed by security staff. Initially, the fire was believed to have been caused by an electrical fault in a machine within the laundrette. SCAN went to Furness to assess the situation: firefighters confirmed that the fire originated by a fault in a tumble drier – potentially by an uncleaned filter. Nobody was on site when the fire started and no injuries have been reported. The smoke produced by the fire produced a copious amount of smoke which easily managed to penetrate Bailrigg FM’s station. However, firefighters reassured SCAN that the fire has not reached the interiors of the station and that no damage has occurred.